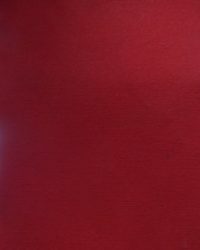 Ribs: 8 mm fiberglass ribs. 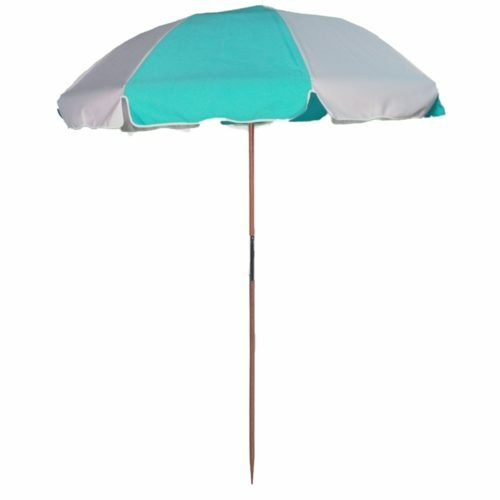 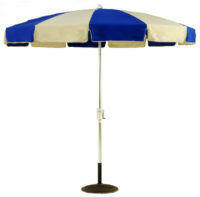 Keep yourself covered with the 7.5 ft. Wood Beach Umbrella Special with Fiberglass Ribs & Button Bottom Pole Connector. 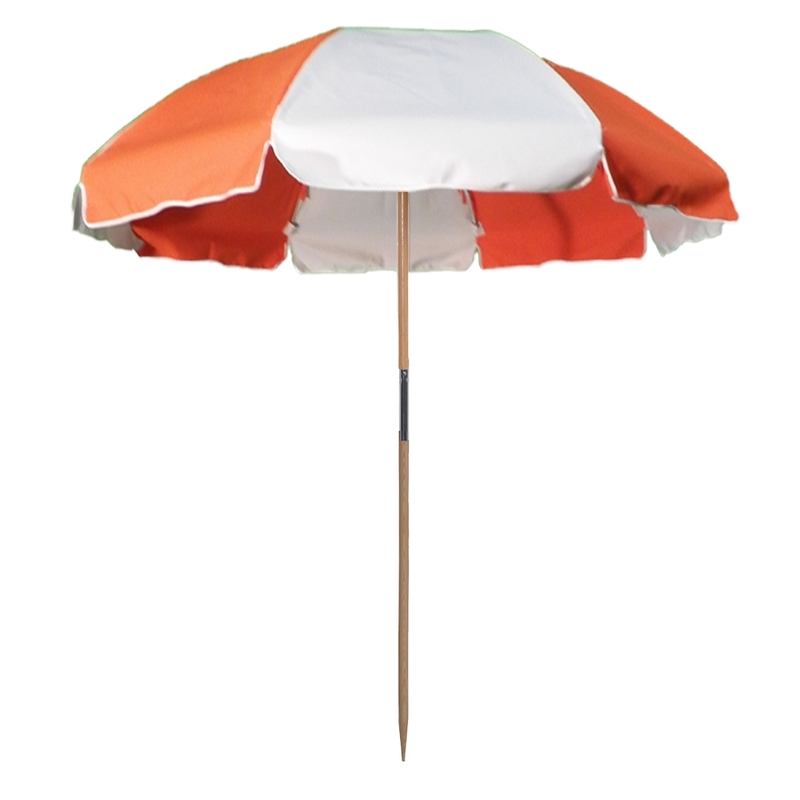 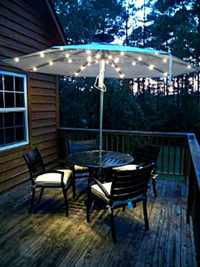 This Sunbrella Wood Beach Umbrella 7.5 ft. Special features a button connector for residential use. 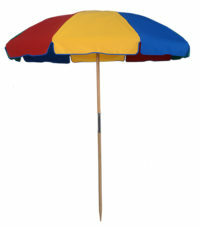 This Beach Umbrella features 8 mm fiberglass ribs on an all hardwood center pole measuring 1 1/2 inches in diameter. 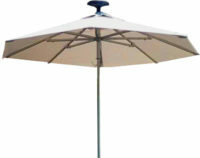 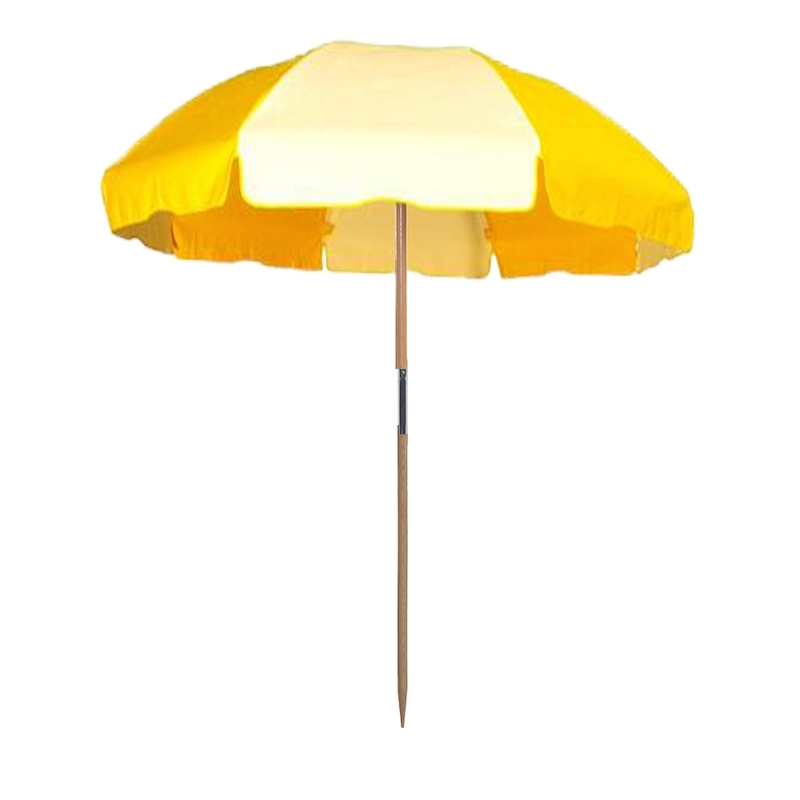 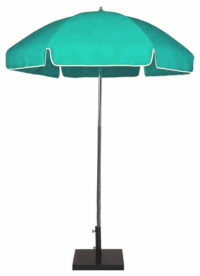 This is a high-quality Sunbrella Wood Beach Umbrella 7.5 ft. Special – Fiberglass Ribs – With Button. 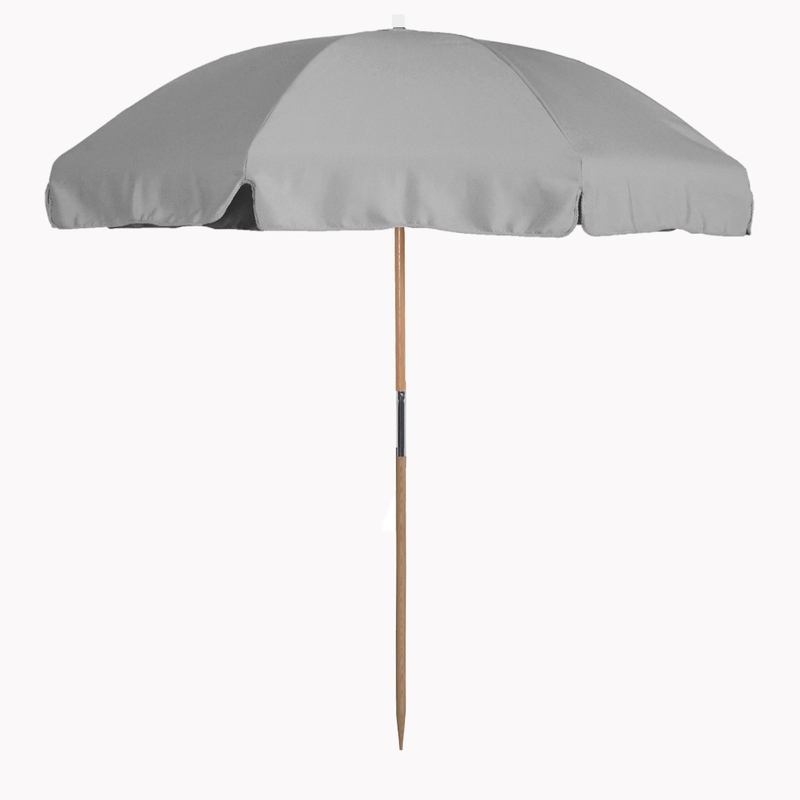 This good-looking and high-quality umbrella will still be shading you or your customers when those flimsy imports have buckled and blown away. 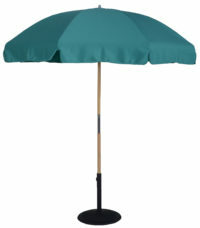 High-quality umbrella will last through several seasons after cheaper models have folded up for good. 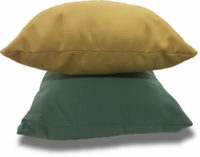 Your choice of 5 color combinations.